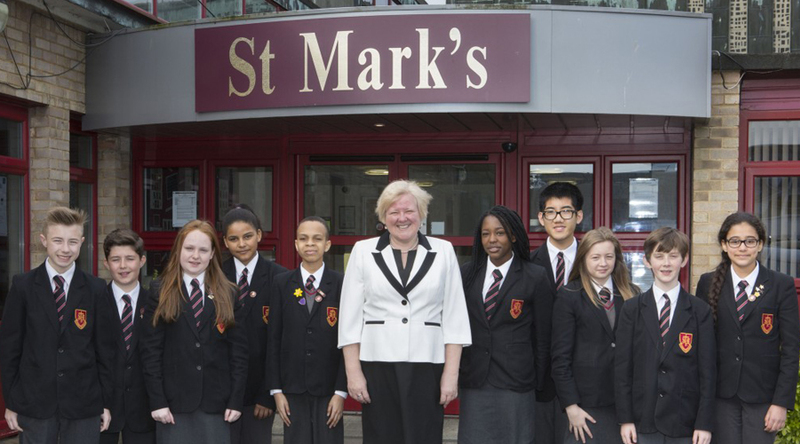 St Mark’s West Essex Catholic School is a successful, well-ordered and caring Catholic school for boys and girls aged from eleven to eighteen. Rounders is taught in all KS3 and KS4 lessons from April- July. We also have an after school Rounders club where over 50 pupils attend as well as a lunchtime Rounders club where 25 pupils attend. From these clubs we can pinpoint a handful of pupils from Years 7-10 that are particularly strong Rounders players. Generally, Years 7-10 score between 9-22 Rounders per game! All girls and mixed groups receive Rounders as part of their curriculum lessons and we play in local leagues and tournaments. We are very successful in both. To keep students engaged we look at tactical game play, which encourages them to work effectively to outwit opponents and neutralise oppositions tactics. While we are journeying to Rounders matches or in relation to things that happen on the playing field, we have a motto ‘don’t risk it for a chocolate biscuit’. So for Year 7 pupils, they don’t risk getting put out when its early in the innings. If they win the match they get chocolate biscuits! It seems to work as an incentive! Our school’s greatest Rounders achievement to date was when we became Winners of the Harlow Schools League & Tournament in a range of year groups. We are always looking at ways to grow Rounders in our school and would like to enter higher profile competitions for mixed genders. Currently, all year groups have a female team of at least 12 players and we have 50 female pupils that train and play Rounders weekly. It would be a great accolade for the school, to have one of our female students play Rounders for England.